It is not just care? It is repair. 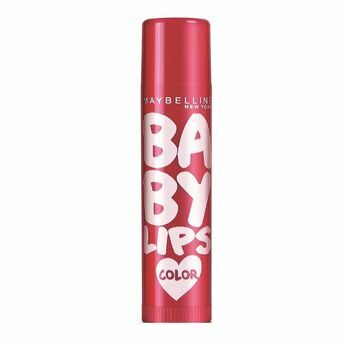 Maybelline Baby Lips Cherry Kiss perfectly moisturizes your lips and gives a lovable pink color. Comes in a handy retractable stick which is easy to use and carry. The hydration restoring formula of the Baby Lips Lip Balm will protect and moisturize your lips. Over regular use Maybelline Baby Lips would your lips renewed. Explore the entire range of Lip Balm available on Nykaa. Shop more Maybelline New York products here.You can browse through the complete world of Maybelline New York Lip Balm .Alternatively, you can also find many more products from the Maybelline New York Baby Lips Color Balm range.